Turmeric Powder is named as the ’Golden Spice of Life’.The botanical name is Curcuma longa and the plant is a member of Zingiberaceae or ginger family. The spice is a fresh ‘rhizome’ (underground stem) of the plant. It is yellowish – brown in color and has mellow flavor.It has found an important place in Indian kitchen since ancient times. 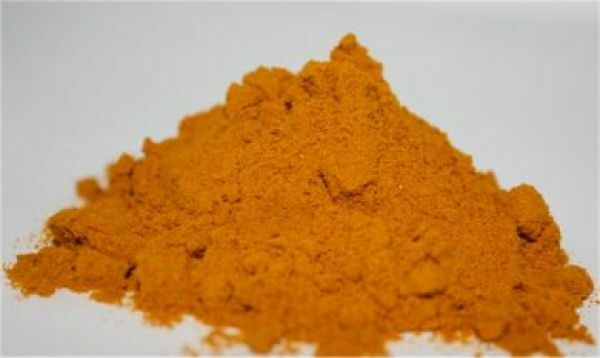 Turmeric has color similar to that of sunlight. Therefore, it is considered to be sacred in India as in ancient times such natural forces were believed to have supernatural powers. It is used in auspicious ceremonies and rituals. India is the largest producer, exporter and consumer of turmeric crop. In India, Tamil Nadu is the main producer of turmeric.The other states contributing in the production are Orissa, West Bengal, Karnataka, Gujarat, Maharashtra and Kerala.There are about 70 species of turmeric of which 30 species occur in India.The harvest season is from December to March.The plant is grown from rhizomes stored as seed from previous year’s harvest.Harvesting is done when the plants are 7-10 months old.